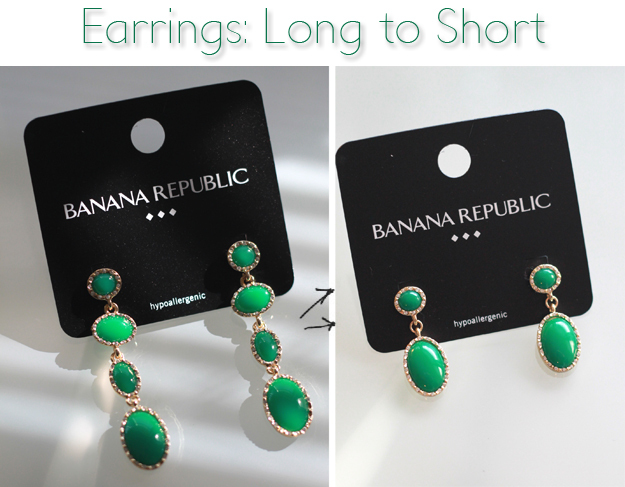 I stumbled across these cute green earrings at the Banana Republic Factory Outlet this weekend and snatched them up on sale with the intentions of shortening them. I've done this many times so I wasn't expecting any surprises. Out of the four "stations," the top and bottom were the ones I wanted to keep in the final result and conveniently had cuts in the back of the loops connecting them to the middle two pieces. I thought I could open them like jump rings and salvage the middle pieces to recycle into another project. Nope - didn't happen the way I planned. The cheap metal broke on both pieces (it looks like some kind of composite). I was totally bummed (not to mention I noticed missing crystals when I got home and several more fell off while I was handling them earrings). I had to leave for dance rehearsal and decided to pick up glue on my way home to hopefully salvage this project. However, I returned home to a brand new (unbroken) pair of earrings. To my surprise, David had called his sister (who conveniently happened to be at the outlets) to pick up another pair for me - so sweet! With my second pair of earrings, I decided not to risk breaking the cheap metal again so I snipped the middle pieces with my wire cutters. I then had the bottom and top sections of the earrings with connecting loops intact. 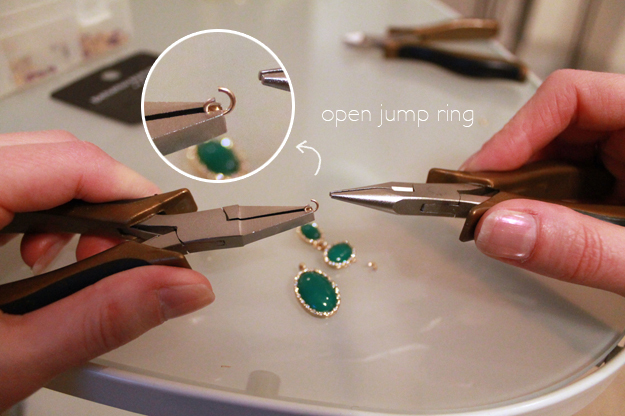 Next, I opened my jump ring (see here for a proper explanation) and slid both sections onto the ring. With my pliers, I closed the jump ring. And really, that's all there is to it. It's quite simple when not dealing with broken parts. 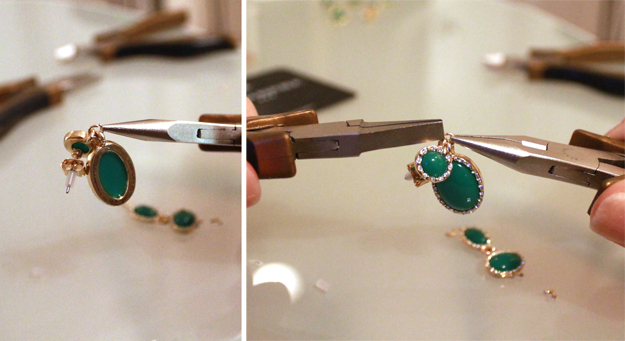 I love the emerald color and micro pavé crystal border. The shorter length is much more wearable for me. Thank you for visiting today! Also, don't forget to enter my $50 Shabby Apple giveaway - it ends tomorrow! Really love this. 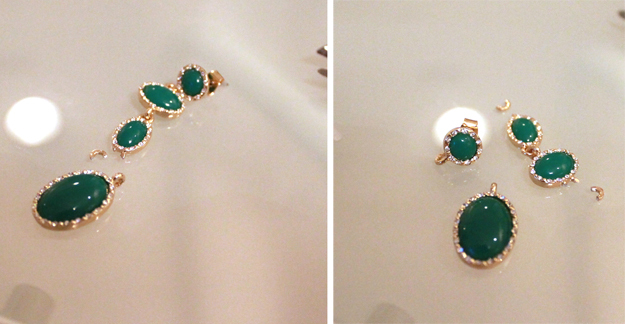 These earrings are gorgeous; love the green colour. Pretty earrings and a great idea! 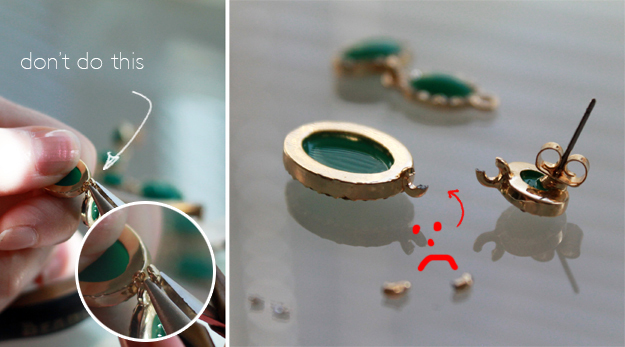 I've done this before to salvage F21 earrings that broke as soon as I got them home! GORGEOUS. 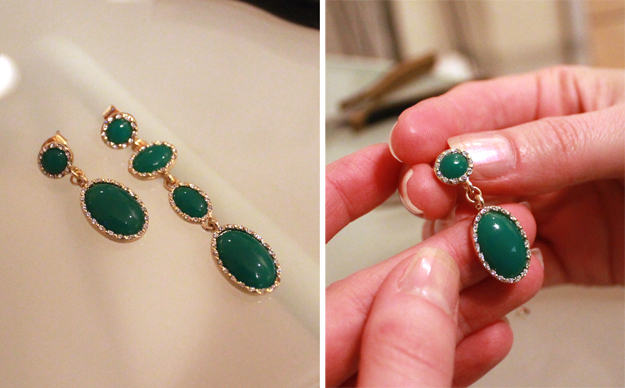 way to DIY your way from a pair of pretty earrings to a pair of gorgeous earrings that perfectly fits your style!! well done! 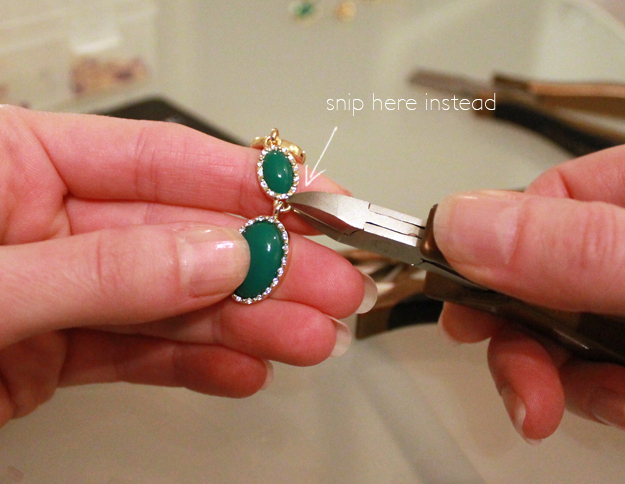 Thanks for sharing such as great DIY tip! I have never thought of doing this! What a great idea...I would totally want to only do it with cheap earrings because I'd be scared of completely ruining them. wow so awesome and pretty! xO! Awesome, I love the short version.